Castle Brook Builders was founded by Kirt Jones in 2005. For over 10 years, Kirt’s experience in business, project management, customer service, construction and land acquisition have produced over 120 luxury-custom homes in the Greater Omaha area. Kirt’s hands-on management style, attention to detail, and commitment to excellence through uncompromised quality has earned him a reputation in the industry as one of Omaha’s leading Custom Home Builders. He leads Castle Brook with a professional and innovative approach, focusing on providing the highest quality, energy-efficient homes in the most desirable communities. The building process always begins and ends with quality, personalization and customer service. Since the beginning, Castle Brook Builders has participated and supported the Spring, Summer and Fall Parade of Homes. In addition, Kirt has collaborated with a team of Custom Home Builders in the success of the Street of Dreams, where Castle Brook Builders built a luxury-custom 1.5-story home from the Miranda Collection. Castle Brook Builders also plays a vital role in the community and gives back to a variety of groups and organizations. Kirt embraces a strong tradition of helping others. Castle Brook Builders supports local schools, Habitat for Humanity, Metro Omaha Builders Association (MOBA), Build Omaha, as well as various other charitable organizations. Extreme customer satisfaction begins with trust, respect and integrity, and results in superior quality, distinctiveness, and a customer who would choose Castle Brook Builders again. If you dream it, we build it! Castle Brook Builders understands the importance of selecting the right custom builder for your new home: a homebuilder who listens to your needs and shares your vision. 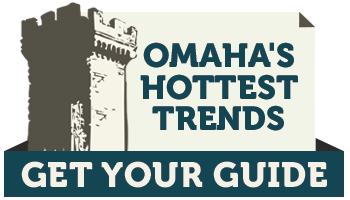 Castle Brook is a full-service design-build company, completely committed to delivering your new dream home in or around Omaha, Nebraska. Single Source Of Accountability – The design-build approach provides a simple, unified resource center for your entire project. In the classic design-bid-build method the owner must select an architect/designer, finalize the design, bid the project, select a contractor, and then act as an intermediary! In the design-build method, however, the architect/designer, engineer and contractor work together as a team during the entire design, development and construction of the project. This ongoing relationship fosters teamwork, efficiency, and success through the entire process – and makes it far simpler for the owner to manage. Budget Management – Discussing budget parameters as a team during the design phase helps to keep the project within a realistic budget. Communicating the cost implications of design decisions ensures that the owner plays a key role in arriving at the final project price. In a design-bid-build method, the bid process can be overwhelming for an owner: reviewing several detailed contracts trying to compare pricing or looking for incomplete information. In a design-build approach, once the team finalizes the scope of work, the project costs are clearly defined and controlled by the whole team, which is both easier for the owner and a more effective way to stay on budget from start to finish. Enhanced Communication – With a design-build firm, specific design and construction details can be developed throughout the entire process so the focus stays on owner “value.” Working with a construction expert and design professional at the same time, on the same team, ensures that potential problems are discovered and discussed before the project starts. Faster Project Completion – Design-build projects can be completed in a shorter amount of time because bid time is reduced, scheduling for the project can begin before the design is finalized, potential construction problems are uncovered early, and better communication keeps everything moving. Quality Control – The Design-build method helps remove ambiguity that may arise in material and construction specifications, which can lead to costly mistakes, miscommunications, or delays. Since the designer, contractor, and engineer work together, the focus remains on protecting the owner’s interest and ensuring the best quality craftsmanship. How long does it take to build a home from start to finish? Do I have to build one of your plans? Will you build in any sub division/development? We had an absolutely great experience with Castle Brook Builders. From the organized schedule to the finishing touches on the house, it was a very enjoyable experience. Kirt and the Castle Brook family do a fantastic job of taking the stress out of new construction. The subcontractors were very knowledgeable and always there to answer our questions. We could not be happier with the finished product. Thank you, everyone at Castle Brook, for helping us build our dream house! Being able to sit down with your architect to modify the floor plans to suit our family’s needs was really important to us. All the Castle Brook vendors were very helpful in getting the desired look of luxury and comfort in our new home. I particularly appreciated working with the interior decorator. She listened to the ideas that were important to us, and really guided me to the best choices to create the luxury I wanted within the allowances Castle Brook provides. We absolutely love our new home! Thank you!! We had been researching houses for months and wanting to build. After looking at dozens of homes and builders, when we walked into Castle Brook Builders, the whole family knew it was the one for us! Kirt explained his process and timeline with great detail and was able to get us in our house earlier than expected, along with finishing the basement beautifully. Everything he said was carried out, his subs and superintendents were very helpful and friendly. Now 7 months into living in our beautiful house, we come home every day to our own piece of paradise and the quality of the house has been spectacular! Cannot over emphasize how wonderful of an experience it was! Thank you and Keith for making this 1 yr check up go so smoothly. We absolutely love living in our new home! !